Your Louisville Zoo is a proud member of the Association of Zoos and Aquariums, accredited since 1980. Only the very best zoos and aquariums can meet the AZA’s tough accreditation standards. AZA accreditation ensures that the animals you visit at accredited zoos and aquariums receive excellent care every day. As members, donors and friends, you should be proud to know that your Zoo has met the mandatory, rigorous, professional standards for animal welfare and management, veterinary care, behavioral enrichment, nutrition, conservation, education, safety and staff training. The Association of Zoos and Aquariums (AZA) is a 501(c)3 non-profit organization dedicated to the advancement of zoos and aquariums in the areas of conservation, education, science, and recreation. AZA represents more than 230 institutions in the United States and overseas, which collectively draw more than 183 million visitors every year. These institutions meet the highest standards in animal care and provide a fun, safe, and educational family experience. In addition, they dedicate millions of dollars to support scientific research, conservation, and education programs. Conservation is a priority for AZA-accredited zoos and aquariums and a key part of their missions. Every year, AZA-accredited zoos and aquariums spend $160 million on field conservation alone, supporting more than 2,600 projects in 130 countries. To date, the AZA Conservation Grants Fund has provided almost $7 million in support for 375+ projects worldwide. 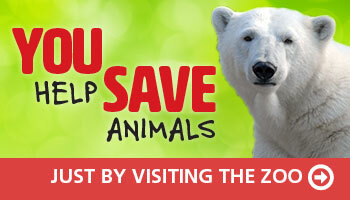 AZA-accredited zoos and aquariums are leaders in the protection of threatened and endangered species. Through AZA SAFE: Saving Animals from Extinction the entire AZA-accredited zoo and aquarium community is focusing our conservation science, wildlife expertise, and 180+ million visitors on saving species in the wild. The AZA Species Survival Plan® (SSP) Program is a cooperative animal management, breeding, and conservation effort that works to ensure genetically diverse, self-sustaining populations of more than 500 species of animals. As centers for conservation, AZA-accredited zoos and aquariums provide the public with essential connections to the natural world. More than 50 million visitors to AZA-accredited zoos and aquariums are children, making accredited zoos and aquariums essential to science and environmental education. AZA-accredited facilities train 40,000 teachers every year, supporting state science curricula with teaching materials and hands-on opportunities for students who might otherwise have no first-hand experience with wildlife. In fact, there is growing evidence that aquariums and zoos are highly effective at teaching people about science and connecting them to the natural world. Look for the AZA accreditation logo whenever you visit a zoo or aquarium as your assurance that you are supporting a facility dedicated to providing excellent care for animals, a great experience for you, and a better future for all living things. To learn more, visit www.aza.org.